A man named Griz joins the show to talk about his strange encounters in Washington State. Brenton Sawin - looking for handouts as always. Have another drink on welfare PS. So what you're saying is that you're on welfare and drink a lot? Well nuttytomi - step up and donate to old Brenton. He's asking for help at 1:30 on the show. Help him get the word out with his crazy stories and advance the cause of proving the existence of Bigfoot! ikdummy doesn’t actually believe in bigfoot so he won’t be donating any of his monthly welfare check to researchers. The subject is one that illiterate nobodies like him flock to online so they can pretend they’re pursuing something meaningful instead of confronting their own failed lives. It’s called bigfoot role playing. How many hoaxers, liars & role players running around the woods of the US? I would guess around a hundred or so judging from the stories reported here. I believe that sasquatches may exist. The oldest mountains are 1.2 billion years old and hominids have existed for no more than 6-7 million years and they only made it to North America 14,000 years ago. Just a couple of examples of your average incoherent babble. 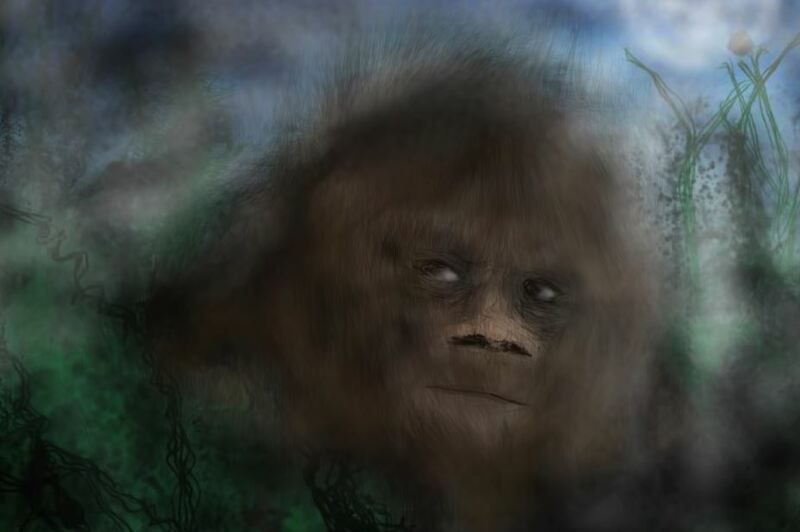 The sad truth likely is, that you do believe in Bigfoot, but that you must suffer from pretty terrible depression to want to go on a 10 year trolling spree to harass the like minded. Just another example of nuttytomi operating under the delusion that all these old posts (and all current ones) were/are made by the same person. Talk about stupid! So many have come and gone here but they are ALL this "Pedo Stu" person according to this nutcase. TEN YEARS! Has this place been around that long? Ten years harassing people, likely with the same opinion. You’re right to be embarrassed. Nuttytomi has a psychological need to put a "face" on all the skeptical comments and thus has funneled them all into a persona he has labeled "Pedo Stu". By his own admission he now acknowledges he's been on this site for ten years (has this site REALLY been around that long???). Ten YEARS on this site and he's still trying to defend Bigfoot's existence! That clearly shows an obsessive, fanatical personality. True, he can't really argue that. I wonder how many people he's convinced all these years with his nonsensical evidence? And that was all Pedo Stu. Pedo, I call it a bit of a guilty pleasure... I come here (not half as much as I did, why would anyone? ), and there’s always a village idiot here to bounce Bigfoot facts off to educate others who might come along to read. I need an idiot for what I need to do. You’re the idiot. Wow you calling others idiot , what irony. It's nice that mental institutions let the patients take turns on the computer, is that why you cycle through here? Don't let your fellow patients wait too long, you know how they get. Don’t like being called an idiot, eh PS? Was the PGF cult a way to finally make you feel clever & important. Your cult is dead... and the footage acquires more authentication. Oh I don't mind because we have to consider the source, don't we? Look around at the cult of bigfoot on this very page, just you really, kind of a lonely cult. PGF still acquiring authentication? Wow maybe 40 more years and you might have something. Where are all the PGF deniers? Where have they all disappeared to? When was the last scientific effort to tackle its alleged lack of authenticity? I know you’re triggered Pedo, but genuinely; anyone would think they’ve given up trying to debunk it?? And yes... The physical evidence left by the PGF subject is now peer reviewed. Which means it’s still acquiring authentication. Try bookmarking a couple of Bigfoot Evidence comment sections from time to time where I’ve battered you around the head with references. What article Pedo? You haven’t presented one single article. Shut me up already, you crazy fantasist. Yeah, you see when you have a piece of footage with so much reliable data in it, it’s oretty easy to keep authenticating it over time with the development of new technology and stuff, ya know? It’s funny that the hoax cultists have all died off and that’s all that’s happening is it’s getting more cred. And when you’ve stopped talking to yourself and posing a sheer inability to think for yourself, I’d like to remind you that I have no needs for religion or faith... I have science. Shut me up Pedo! Maybe one article eh? You’re a genuine bafoon aren’t you? Hey - just visit the ISF forum and you can find a TON of material that tears apart your arguments here. But you will never go there will you? Can't say I blame you. No one likes being made a fool of. Why don’t you cut & paste it all here!! Oh wait... you have done. And that didn’t help you either. I haven't been at that site for very long ad haven't joined yet but that's a great idea - thanks. If they don't mind me plagiarizing their comments I may be bringing some fresh arguments for you to try and explain. Should be fun. But I think you’ll find it’s dwindling over there too, and the Bigfoot hoax cultists aren’t really brining anything new to the table either. There’s nothing they haven’t cried about over there that hasn’t been cut & paste here, that I haven’t debunked. You have such a short memory Pedo. Let me guess... see you in “three months time”? See you in three months time Pedo. Nope, you know I was gone over an hour picking up my son from school and I came back and you were still here? What's up with that? Are you sockpuppetting the family man now PS? You’re a f’n loon boio, ha ha ha ha!!! You know when something really grinds on you, because you try and take control of it desperately. Only one of us has genuinely been reported to the authorities Pedo. And you carry a badge now?!!!! HAAAAAAAAAAAAAAAAAAAAA!!!!!! You’ve been a lecturer, a programmer, a hunter, now a cop... you’re genuinely mentally ill mate. He shouldn't need as much money now since the Kentucky CPS took his daughter away. What a aging example of a Christian. The only badge Pedo stu Savile wears is the one that labels him as a sexual predator . Hey stu, changed your role playing game on us have you boyo ? Makes no difference because you are a massive bellend all around so nothing you say can be taken with any credibility chum.